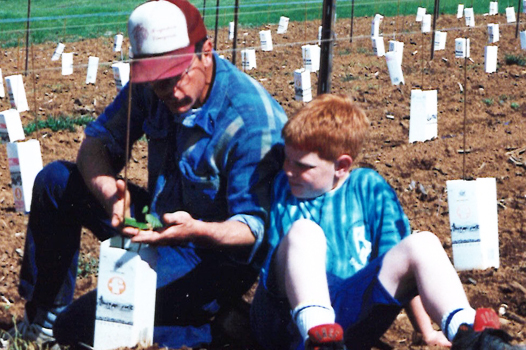 Always a farmer at heart, Chris’s involvement in the wine industry began in 1970, assisting his father in the establishment of their Rutherford vineyard in California’s Napa Valley. A strong believer in hands on sustainable agriculture, Chris not only manages Brigadoon Vineyards, but is also the primary caretaker of the vines and land. 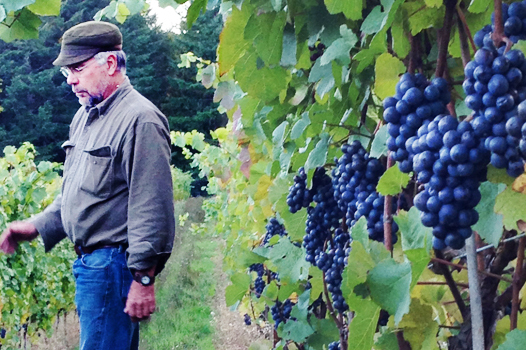 In addition, he manages other small vineyards in the Southern Willamette Valley. Sheree’s love of wine stems from a joy in pairing fine wines with exceptional food. Sheree is a firm believer in the farm to table movement and has been pairing our own farm-raised lamb and garden produce with Willamette Valley wines for many years. Known for her superior wine and food palate, she is often deferred to with difficult blending decisions. Having caught the winemaking bug at an early age, Matt has been working in the vineyards since he was 8 years old, trailing after his father on hot summer days. Perhaps due to this upbringing, Matt’s winemaking philosophy is rooted in the fields with the vines. His goal is to act more as a guide to the wine; through minimal intervention he can highlight the work in the vineyard. 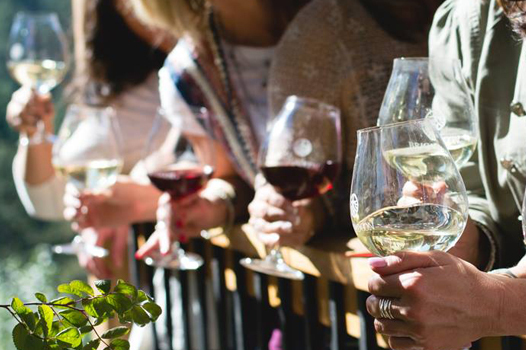 After earning a degree in Horticulture at Oregon State University, Matt began working in wineries in 2005. 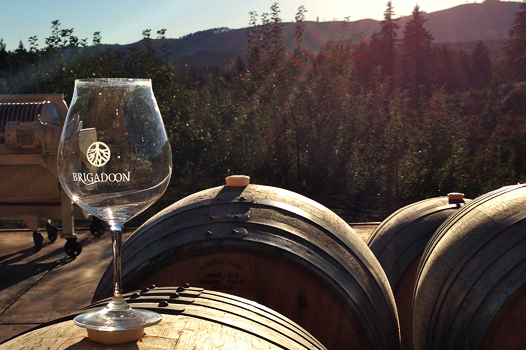 After numerous harvests in both Oregon and New Zealand and further enology coursework at Chemeketa Community College, Matt helped launch Brigadoon Wine Co. in 2008. In addition to making Brigadoon wines, Matt acts as the consulting winemaker for a variety of small labels, including La Chouette Vineyards. The youngest member of our family, outdoorsman Nick is a graduate of Unity College in Maine, with a degree in Environmental Science. 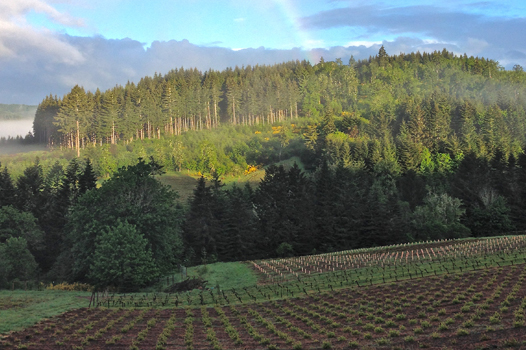 He has always played an integral part at Brigadoon Vineyards, returning home every summer to assist in vineyard development and forest management. After trips to Sweden, California, Maine and Alaska to work in grapevine rootstock production and on various organic and biodynamic farms, Nick has settled back in Oregon and is cellarmaster at Left Coast Cellars. You’ll find Nick here at Brigadoon helping out at bottling or special projects, and welcoming guests periodically at the the tasting room and special events. From a very young age, Gracie, a rescue from a local shelter, has enjoyed protecting the vines and greeting visitors. 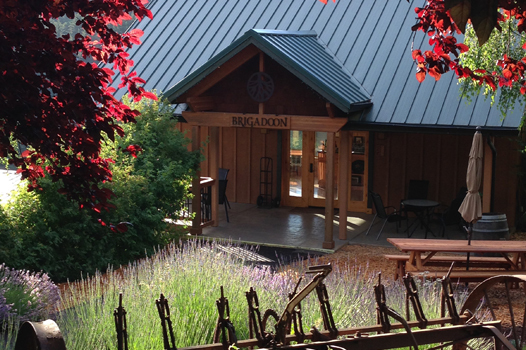 Upon your next visit to Brigadoon Wine Co.'s tasting room, you'll either find her lounging on the veranda or mingling with our guests.